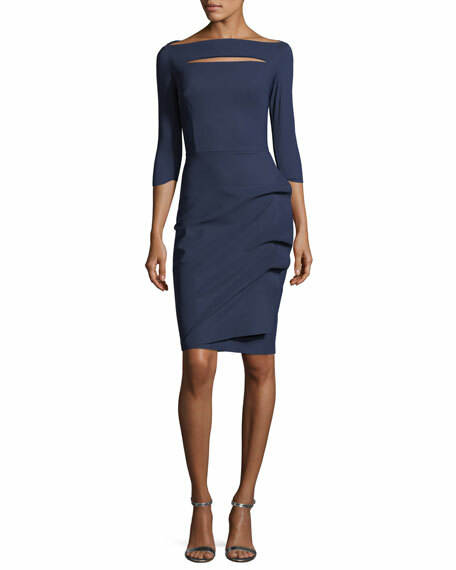 Cushnie Et Ochs "Iria" cocktail dress in stretch-cady. Taffeta ruffled frame neck and sleeves. Carly Cushnie and Michelle Ochs of Cushnie et Ochs answer our 5 Questions. For in-store inquiries, use sku #2412460. Exclusively ours. 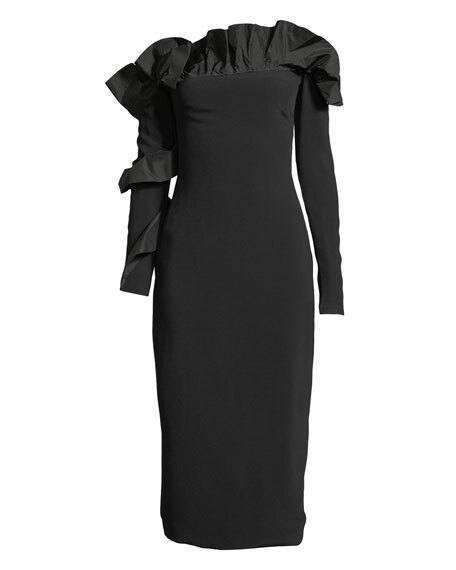 La Petite Robe di Chiara Boni "Giuly" cocktail dress in signature stretch jersey. 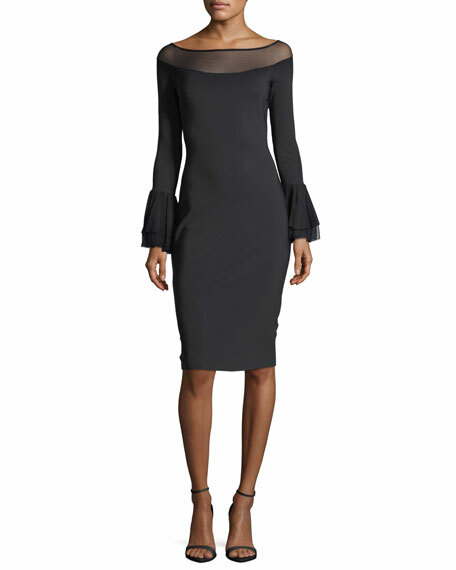 Bateau neckline with off-the-shoulder illusion. Long trumpet sleeves. Fitted silhouette. Step-in style. Knee-length hem. Nylon/spandex. Dry clean. Made in Italy. Exclusively ours. 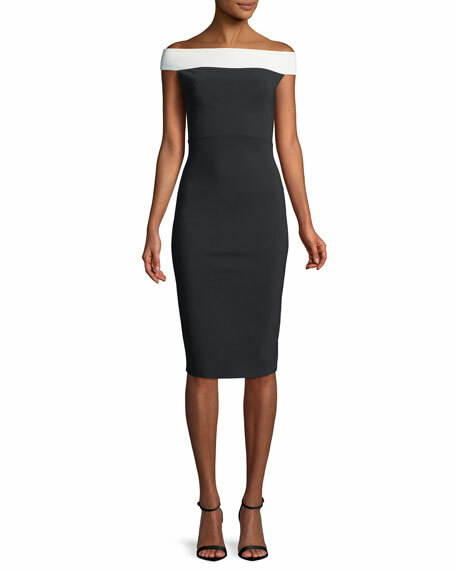 Chiara Boni La Petite Robe "Lusinette" colorblock dress. Contrast off-the-shoulder neckline. Banded short sleeves. Fitted princess seams. Body-conscious silhouette. Raw-edge hem for ease of tailoring. Knee-length hem. Step-in style. Nylon/spandex. Made in Italy. Exclusively ours. 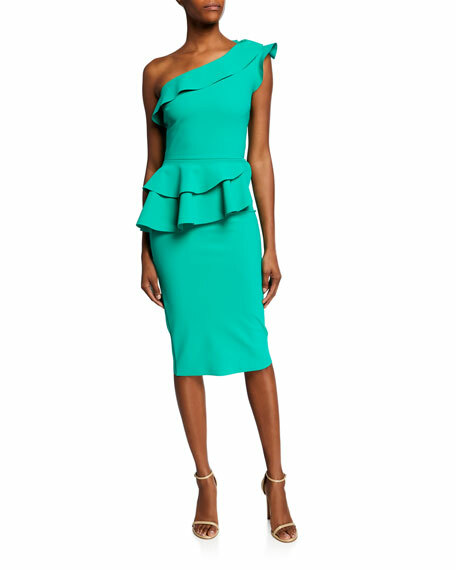 Chiara Boni La Petite Robe dress with ruffle shoulder trim and an asymmetric peplum waist. One shoulder neckline. Sleeveless. Tiered peplum waist. Body-conscious silhouette. Knee-length. Raw-edge hem for ease of tailoring. Step-in style. Nylon/spandex. Made in Italy. La Petite Robe di Chiara Boni cocktail dress in signature stretch-jersey. Bateau neckline with slit detail. Three-quarter sleeves. Fitted silhouette. Ruched overlap skirt. Step-in style. Knee-length hem. Nylon/spandex. Dry clean. Made in Italy.